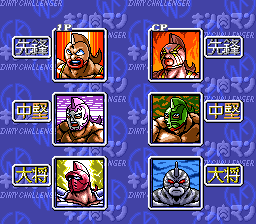 The title of the game is mostly self-explanatory, as it is wrestling game with an all-Japanese cast of fighters. 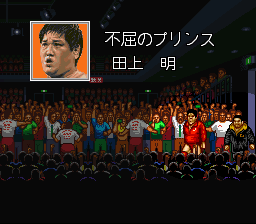 The game is licensed title, based on the real "All Japan Pro Wrestling" (Zen Nihon Puroresu) wrestling promotion. 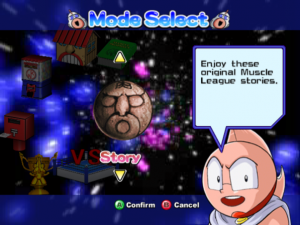 The "featuring Virtua"-part of the title is related to the implementation of Wolf and Jeffrey from the game Virtua Fighter as playable characters. 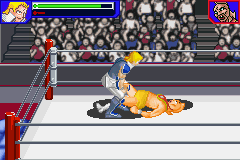 Like Virtua Fighter, the graphics of the game are fully in 3D. The action is shown from changing perspectives. There is a large variety of moves available; apart from basic like attack or hold (which can also be modified with the D-pad) there are also taunts and counter moves available, for example. Furthermore, the game features a injury system: when a high amount of damage is inflicted, the game pauses shortly to show an X-ray picture and the increased damage of the corresponding section of the body.